For membership organisations to stay relevant, and continue to succeed in today’s world, they need to listen to and adapt to the evolving needs of their audiences. They also need to undergo digital transformation to keep up with the changing needs of their members, and to provide new ways of interacting with and attracting potential members from the next generation. In this blog, we discuss the ways in which member organisations can improve their member engagement; through developing new products and services that meet their members’ needs, and embracing digital changes across all aspects of their organisations. 1) To increase new member engagement. 2) To increase member acquisition. 3) To increase member retention. 4) To grow membership satisfaction. 5) To increase member revenue. 1) Increasing member engagement was seen as the most important goal for 2016 and beyond. 2) Members do not perceive any increase in the value of their membership packages. 3) Last year the key goal was to increase new member acquisition; though this continues to remain important to many. 4) This is the first time since conducting the survey that addressing member churn, through improved engagement, has been a higher goal than increasing membership. Membership is fundamental to the function and future sustainability of associations. With new generation of members expecting more from their membership subscription, organisations are determining how they can radically improve the value that they provide to their member-base. Organisations must therefore develop new services that reflect the challenges that members face, and reflect their communities’ interests. In September 2016, Chris Daly, CEO of the Chartered Institute of Marketing, delivered a talk on engaging with future generations, which was identified as a serious threat to professional bodies. Daly noted that millennials are idealistic and need to be appealed to through evidence that professionalism is a good thing, rather than through the material benefits of joining a professional body. He also cited keeping up with new forms of communication as critical. Generation X (the core generation now in employment across the globe) and beyond, expect tangible benefits and positive outcomes in return for their annual membership subscription fee, e.g. career enhancement, work/life balance solutions and/or targeted help/support. In a research publication from ASAE Press, an assessment was make of the importance of different individual and field-wide benefits of membership to prospects deciding whether to join an association. The research concluded that delivering on both individual and whole-field benefits will encourage both member retention and membership growth. Organisations will also need to improve how they measure their member engagement. Measuring member engagement needs to be across all channels to provide the complete picture of their interactions, and must provide the ability to highlight ‘risk’ members who are not engaged, so that they can be individually targeted, to mitigate against their potential loss. Attracting new members, retaining current members and keeping them engaged is a perpetual challenge for membership organisations. Yet set this against a backdrop of digital transformation and rising customer expectations, and the challenge becomes even more complex. We know that Millennials are very different to their predecessors. Where many baby boomers are attracted to membership organisations by virtue of simply ‘being associated with it’, millennials far more demanding in what they consider ‘of value’ in their membership subscription. This generation are using their smart phones every day to access information and collaborate on social channels using the latest, content-rich websites and mobile apps. The user experience they get from these channels is driving up their expectation for their digital engagement with their membership body. 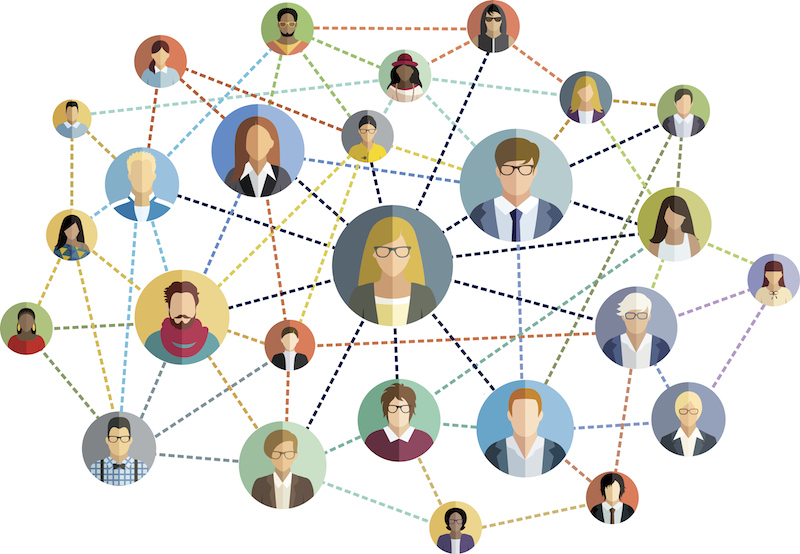 Social networks now provide easy and convenient ways for industry members to find each other and network, the rise of consumer power, and the proliferation of online content has led to vast and often free access to the types of information, insights, and training that professionals used to be able to access only through association membership and industry conferences. The consumerisation of the association/member experience will have a large impact on associations of all shapes and sizes as members request more mobile, nimble, personalised, and efficient engagements similar to the experiences they have with Amazon or Netflix. Users today are becoming accustomed to a high level of personalisation in their day-to-day online experiences (in every aspect, from online shopping to bank accounts to social media). They also expect to have the ability to control and self-service online and expect their online experience to be interactive and engaging. Those organisations enjoying the most success are those that have fully embraced digital transformation: assessing and implementing digital to support and improve all their membership processes from member recruitment, to engagement, to retention. They have also taken a strategic approach to how they embrace digital and their marketing approach. For example, the British Institute of Radiology (BIR) has recently made the transformation from a Victorian membership organisation into a society relevant to 21st century professionals working in high-tech environments. BIR identified a large gap between what they were providing and what their members wanted. BIR approached their transformation via a complete overhaul of their strategy. Their new strategy is now moving BIR to a position of sustainability that will ensure its future prosperity – according to its entry in the Professional Associations Research Networks ‘Professional Body Sector Review 2017’. We have discussed how membership organisations are facing increasing pressure to develop and deliver the value needed to stand out from the wealth of online information; as well as compete with the high-quality customer experiences their members are being exposed to in other areas of their lives. Member’s digital expectations continue to increase, and they now look to access targeted content anytime, anywhere and on any device. GetSet, the business consultancy for high-growth SMEs, provides a variety of different services to help member organisations develop and deliver effective strategies to deliver their growth objectives. We have worked with a variety of member organisations such as The London Fashion Network, The Manufacturer’s organisation, EEF, and many of the Chambers of Commerce around the UK. Our consulting team can work with you to find the most effective ways to grow your member-base. We can also help to ensure your members receive high value from their subscriptions, in turn, minimising your membership-churn rates. Through our Masterclasses and consultancy services, we have up-skilled over 15,000 growing SME businesses, empowering them in every aspect of business strategy, finance and marketing. You can buy packages of Masterclasses on behalf of your members, which we will deliver. We also run regular, lively and informal networking events, which provide a great platform to get your name out there, and build new relationships and awareness for your brand. The Masterclasses and Networking events can be jointly or co-branded with your name. We offer a range of content services, including email newsletter sponsorship, an authoritative editorial piece or blog, participation in our interactive GetSet Answers platform or promotion via the GetSet website. Just talk to us about your needs and we will find the optimum content solution for your and for your members. Find out more about our Masterclasses by visiting our events page and take a look at how we work on the GetSet website.